When it comes to collection work – spotting issues, finding assets – there’s no substitute for preparation, preparation and more preparation. 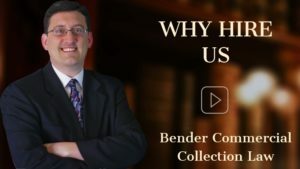 It’s the same rule in B2B collections — winning does not begin in the courthouse, it begins in the office with debtor research, document review and attention to detail. Post Judgment Recovery – where we identify and seize assets to satisfy your judgment. Throughout the collection process, we continue to gather information about the debtor, which begins with creating a debtor profile and continues post-judgment when we’re looking for the debtor’s assets. all other relevant documents provided. search for possible real estate owned by them. Contested Litigation – Where the debtor answers the lawsuit, you demand information from each other relating to the claims and defenses (called discovery), and the court enters judgment for one of the parties after determining the facts. The purpose of a trial is to present evidence so the court can determine the facts, and then rule. If the parties agree on the material facts, they can ask the court to rule without the need for a trial. This is called summary judgment. Litigation commences with the filing and service of the lawsuit. In some fraud cases, we can seek to seize the debtor’s assets before judgment, i.e., while the case is pending. This is a called a pre-judgment attachment and the courts rarely grant them, but it can be a powerful tool when available. If the case settles, we draft the paperwork to protect you. For example, we make sure the agreement entitles you to a judgment if the debtor fails to pay you. If the debtor defaults, we prepare the required paperwork and your proofs for a judgment. And if the debtor contests the lawsuit, we exchange discovery demands and prepare your case for trial. If the material facts are undisputed, we’ll generally forgo a trial if we can obtain a summary judgment. Seizing the debtor’s assets to satisfy the judgment. 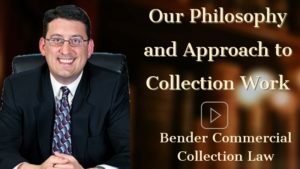 Our business collections firm has offices in Cherry Hill and Hackensack and handles B2B debt collection matters in every county throughout New Jersey. Please contact us if you have a debt collection matter in the State of New Jersey or if you have any additional questions or concerns.